More so than any other sport, baseball is a game defined by numbers, and, among those numbers, there may be none that so readily recalls the pastime’s nadir as 1994. Four years before two Midwestern rivals greased up the defibrillator pads with narcotic cream like Dutch and Dillon, shouted “Clear!,” and shocked the sport back to life, baseball decided it would rather climb down into its grave and bury itself in shame than resolve the ballooning labor dispute. One thousand nine hundred ninety-four years after some believe a savior was born, Major League Baseball rejected the possibility of one, becoming the first major professional sports league to lose a full postseason due to labor strife. For some baseball fans, it was the equivalent of canceling Christmas. Plenty was lost when the MLB Players Association went on strike on Aug. 12, 1994. No World Series. No playoffs. Not even a completed regular season. Teams had completed roughly 70 percent of their games before everything ground to a halt, the result not of literal global warfare, which used to be the only reason for stopping the nation’s game, but a protracted battle waged in boardrooms, along the proverbial picket line, and in the press. Instead of studying ERAs, some baseball staffer probably was investigating whether ERISA preempted the CBA. Two decades later, vitriol associated with salary caps, celery caps, and other more mundane and inane particularities has faded, replaced by the glow of a sport resurgent, if altered. And, perhaps, it has been replaced by the advance scouts probing the parameters of renewed fighting on the horizon, with a collectively bargained agreement set to expire on Dec. 1, 2016. If anything of consequence from baseball’s 1994 remains today, though, it is a sense of loss. Most famously, of course, was that Montreal Expos team, which finally had peaked, and which appeared destined for glory. On the day the music died, Montreal had the best record in the majors, and it’s but a small leap in the minds of most fans to assume that Nos Amours would have won the World Series that year, thereby preventing their extradition to U.S. federal (swampy) soil. Tony Gwynn, who also has departed this unworthy plane, had unfinished business in 1994 too, his famous consistency and majors-leading .394 batting average placing him within striking distance of a landmark .400 average for the season. In a career that stands as a blueprint for reliable offensive excellence, 1994 was Gwynn’s best season (166 wRC+), and his best shot at .400. What were Chicago’s chances in ’94? The team’s 67-46 record was a clear step back from Montreal’s 74-40, and the White Sox held a less commanding lead in their division, with Cleveland and Kansas City just one and four games back, respectively. The Expos, meanwhile, had the NL East all but locked up, outpacing the second-place Braves by six games and third-place Mets by 18.5. Playing in different leagues, Montreal and Chicago didn’t face each other in 1994, and, with interleague play still three years off, they lacked common opponents. There’s reason to believe the White Sox, led on offense by Frank Thomas and on defense by Jack McDowell, were better, though. For example, Chicago had a better run differential (+135) than Montreal (+131), a better offense (112 wRC+ vs. 99 wRC+), and similar pitching (86 ERA- vs. 83 ERA-). Would the Expos and White Sox have made the playoffs in 1994? There’s plenty of nuance that could be incorporated here. For example, Cleveland had a slightly easier remaining schedule (weighted opponent win percentage of .481, versus .498 for Chicago), but the Indians had three fewer games left in which to make up ground on the White Sox. (For the extra-curious, full 1994 team schedules, including unplayed games, are available on page 39 of the April 3, 1994 edition of the Toledo Blade.) On the other hand, run differential favored Chicago (+18 runs over Cleveland), but with fewer than 50 games remaining on both teams’ schedules, the influence of that difference likely would have been muted. The rough full-season projections hammered out above provide a sufficient basis for believing that the 1994 Expos and White Sox would have secured playoff berths had the season been completed. Since the playoffs are, in the not-at-all-spiteful words of Billy Beane, a “gauntlet of randomness,” let’s further assume that Montreal and Chicago each successfully ran that gauntlet and arrived, at last, face to face in the phantasmagorical 1994 World Series. Would the White Sox have beaten the Expos in the World Series? Was Chicago better than Montreal, as the White Sox manager believed? Lamont backed up his assertion by pointing to the completeness of his team, highlighting a deep rotation and the offensive prowess of the offense, led by Thomas, who won his second consecutive MVP award that year, as well as its intelligence: After retirement, many of the ’94 Sox became coaches, with still others finding their ways into front offices and broadcasting booths. The Expos weren’t exactly slouches that year, of course, their roster featuring such names as Pedro Martinez, Larry Walker, Moises Alou and Marquis Grissom. How do these two teams stack up? These are the season numbers for all Expos batters with at least 200 plate appearances in 1994. With pitchers hitting in the NL, this chart is composed of just eight players, while Chicago, with designated hitter Julio Franco, has nine such batters. Thomas, still manning first base in ’94, was a monster with the bat. 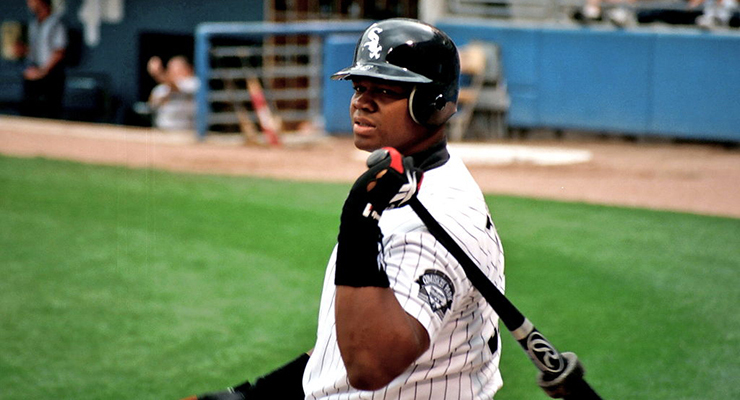 Through Aug. 11, the Big Hurt had compiled more offensive fWAR than Alou, Walker, Grissom and Sean Berry combined. Thomas was and remains just one person, though. There’s a reason he did so much of his hurting by taking walks. Home-field advantage isn’t really a thing in the World Series, but it probably is worth keeping in mind that Chicago would have been without its DH in all games played in Montreal. A 1994 Series would’ve begun in Chicago, meaning one more game with a designated hitter than without if it went a full seven games. Still, for games played north of the border, Lamont probably would have tried to find a way to keep both Thomas and Franco in his lineup. The bad news for the South Siders is that there wasn’t an obvious way to accomplish that. At 35, Franco was the oldest White Sox regular, and his offensive contributions apparently weren’t the only reason he was designated as a non-fielder. He had played regularly at shortstop as recently as 1987, his age-28 season, and at second base as recently as 1991. A knee injury requiring surgery erased most of his 1992 season, though, and he didn’t make a single appearance in the field in 1993, DH’ing for all 140 games in which he played. While he had spelled Thomas at first a few times in 1994, that obviously wouldn’t solve Chicago’s problem, and Thomas never played anything other than first base and DH. Unless Lamont wanted to gamble with his defense, Franco– the second-best White Sox hitter by a fair margin– might have been limited to pinch-hitting duties in road games. That’s a good-looking bunch. It’s probably safe to eliminate Kirk Rueter from that list (although DRA and cFIP suggest that Expos manager Felipe Alou should have given some more innings to Rueter and fewer to Ken Hill), since teams typically can get by with just three or four starting pitchers in a postseason series. 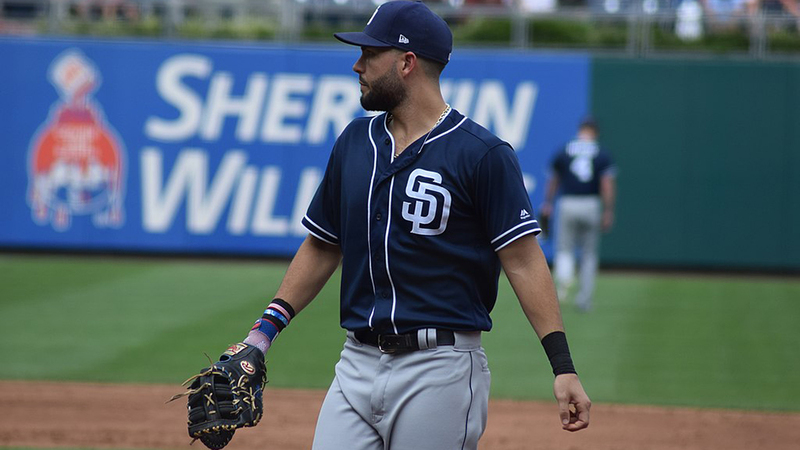 The remaining four may not all be household names, but they did a decent job of keeping pace with the 22-year-old version of Martinez, which is about as much a compliment as one can pay one of his pitching colleagues. Like its offensive lineup, the White Sox pitching rotation featured a clear leader– McDowell– supported by a complementary cast. DRA and cFIP suggest that, like Alou, Lamont may have missed an opportunity to optimize his rotation by favoring Scott Sanderson over Jason Bere, although Sanderson’s low strikeout rate may not have meshed well with the Chicago defense. With slimmed postseason rotations, its unlikely that either Sanderson or Bere would have seen World Series action as a starter. An offensive lineup with a single focal point (e.g., Thomas, in this case) is vulnerable to mitigation by way of the intentional walk, but it can be an advantage for a starting pitching rotation under postseason scheduling. McDowell could have started as many as three World Series games for the White Sox, although his rough postseason numbers (8.72 ERA in four playoff starts between 1993, 1995 and 1996) suggest over-reliance may not have been warranted. Mel Rojas once sneezed so hard he suffered a rib injury, but that didn’t happen until after this mythical 1994 World Series. This isn’t a group at which to sneeze, but it’s worth remembering that bullpen usage has changed substantially in the last two decades; just look at the starters’ innings-pitched totals, and remember that they still had almost two months to go. As with the next group, these are the Expos relievers who had appeared in at least 20 games through Aug. 11, and there’s not a lefty among them. These guys look like they’d do a decent job too. Paul Assenmacher, in his only year on the South Side after playing nearly five full seasons as a Chicago Cub, is a memorable name among baseball-card collectors who still weren’t too good at reading in the early 90s. He, along with Dennis Cook, were the White Sox left-handed relievers and thus likely would’ve become well acquainted with Walker in the late innings. As if this hasn’t been enough of a silly exercise to this point (“Hilarious,” you’re thinking), let’s do one more silly thing and predict a winner by summing the single-season fWAR of the players listed above. That’s not how baseball– or wins-above-replacement metrics, really– works, but none of this is how any of this really works, and none of it actually happened besides. And remember, the purpose here is to test a Gene Lamont hypothesis. Precision need not be our touchstone. There’s a lot of gut involved. This coarse-grained, misguided arithmetic generates 35 fWAR for the Expos and 36.5 fWAR for the White Sox. The latter had an extra player in the mix, recall (thanks a lot, DH), but no Montreal pitcher had an offensive fWAR above zero. Maybe Franco’s limited availability at Stade Olympique would’ve been the difference, the well-rounded team better equipped to run the postseason gauntlet than the one with more extremes. Maybe Lamont would’ve called up prospect Michael Jordan from Double-A Birmingham for the playoff run. We just don’t know. Maybe the cancellation of the 1994 World Series was a gift. It hurt when we received it, sure, and it burned some to the core. Sometimes gifts that will last a lifetime induce confusion, even resentment, when we first unwrap them. Baseball loves the perceived certainty that follows tabulation, measurement, and recording of an ever-expanding scope. When the many hopes of a season don’t pan out, though, the recorded certainty of failure can be cold comfort. Plenty can happen in the final two months. (Just ask the 2011 Boston Red Sox.) Halting the usual proceedings in early August allows us to hold a variety of anticipated outcomes— Tony Gwynn, .400 hitter; Montreal Expos, world champions; Gene Lamont, world champion– in our minds and memories, congealing with desire-aided ossification into something mimicking factual history. The apparitions that are allowed to inhabit baseball’s meticulous records. The ghosts of ’94. If nothing else, cancelling the World Series that year prevented the Yankees (70-43; 6.5 games ahead of second-place Baltimore; +136 run differential; majors-leading 118 OPS+) from getting a head start on their most recent reign of dominance, which is something many baseball fans soon would realize would make an acceptable consolation prize. Also, don’t forget that Matt Williams was on pace to hit 61 home runs. You’re right, Derrick. Thank you for reminding me. I knew there were other historically significant events in progress in the 1994 season, and Williams’ pursuit of sixty-one homers slipped my mind. I myself was on pace for a timely start of fourth grade. That’s the frustrating thing about the strike: we’ll never know how life would’ve turned out for so many that fall. But sometimes do-overs are possible — like, you know, you still could go back and complete fourth grade. The Yankees had a better record (three games than the Pale Hose) and a better offense (118 vs 109 OPS+). The Yankees were going to the Series that year, where the Expos would have beaten them. That strike cost me the 1995 season as well as I just didn’t care about baseball anymore. It wasn’t until the 1996 season that I cane back. No doubt, Carl. There was no avoiding mentioning those Yankees in this article, and there certainly is a strong case to be made that they would have represented the American League in the ’94 World Series. The Yankees relied on Jimmy Key (who was thisclose to injury, a he was out most of 1995), a deteriorating Jim Abbott and Melido Perez, a to-be-released Terry Mulholland, and young-but-not-great Scott Kamieniecki and Sterling Hitchcock. The bullpen was led by erratic Steve Howe (bad in 1993 and 1995; good in 1994), recently-converted Bob Wickman, and run machines Xavier Hernandez, Paul Gibson, and Joe Ausanio. I’m not entirely convinced that the Yankees pitching would have sustained their success. Also left behind in ’94…Fred McGriff of the Braves….averaged an HR every 15 ABs that season; Atlanta had 48 cancelled games ….192 ABs more or less; projected to 12 more HRs for the CrimeDog who ended up 7 shots shy of 500 HRs. When I saw that line about “shocked the sport back to life” I had re-read it carefully and click on the link, because my first thought was “Neither Ripken nor Griffey were from the mid-west — nor were they rivals.” How quickly some things fade… and how strangely some things come true. Enjoyed the article. Really miss the Expos. Just wanted to point out that the NL would’ve had the home field advantage in 1994. The Expos were unstoppable. No way they were losing 4 out of 7 that year. It’s amazing that people said the Expos had the division sewn up that year, when the Braves were even further behind the Giants (who ended up winning 103 games) at the same time the year before. “darn good thing there were no computers back in my day! “…. Well, there certainly were computers and personal computers in 1994. The internet also existed too. All of those things had been around for many years by 1994, whether you were aware of them or not.